Officials have been forced to postpone the World Championship race event to January 10, 11 and 12, 2019. UPDATED GOBBLER 100 EVENT SCHEDULE – SUNDAY SHOW!!!! This is now a Sunday Program Only with a $63,000 purse total up for grabs in one day ladies and gentlemen at Cochran Motor Speedway’s #Gobbler100!!! 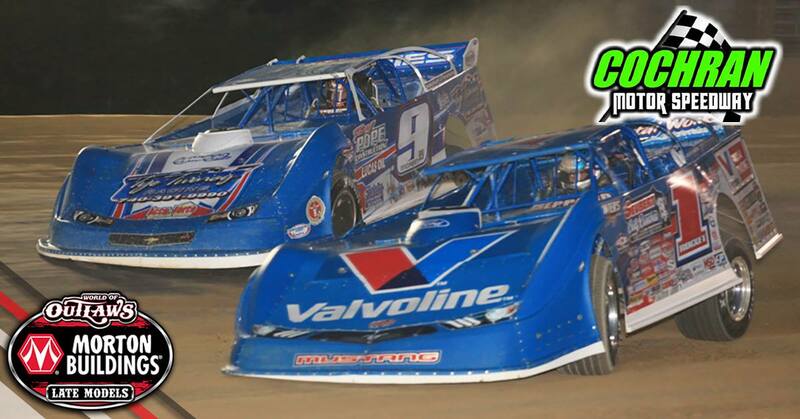 Friday Night’s Racing Program will be made up on Saturday Night (November 24th)! All wristbands will be honored at the gate! Qualifying and Heat Races same schedule! Saturday Night’s Program will now be run on Sunday!!! Click and download the Pre-Entry form for the December 28-29 World Championship! Plus – Jr Enduro and the NVRA Race Cars will be racing!